I don’t know how many of you have experienced what happened to me a few months ago, but I’m sure that I can’t be the only one this has happened to! I have been following the Weight Watchers Freestyle plan pretty faithfully and had great success. Then my sister’s wedding came up. All my plans for eating sensibly went out the window! I don’t know what to say other than everyone kept encouraging me to drink more wine, then champagne. I guess the alcohol sent me over the edge. I ate everything in sight and it didn’t stop there either. The next day, my head reeling from the champagne, I met with my family at a restaurant, as we had planned, for brunch. Again, I just ate myself into oblivion. When I got home Sunday afternoon, I felt like a fat, bloated mess. I couldn’t even bear to look at the scale and see how much weight I must have put on (and would continue to put on as my body processed the food). I was thinking that I was going to go right back to my WW Freestyle program, like, immediately! I was lying in bed thinking about what I would eat the upcoming week when I began thinking….could I use the Freestyle list of free foods for every meal? For an entire week? Read all the way to the end to find out how much weight I lost. You will be shocked! The more I thought about it, the more determined I was to try! And guess what? I did it! I actually managed to use ZERO points for 7 full days! As I struggled to close the button on my pants, I made a firm resolution that I was going to start back on my diet on the usual MOANday! Luckily, I had some items in the fridge that helped me get breakfast and lunch together. 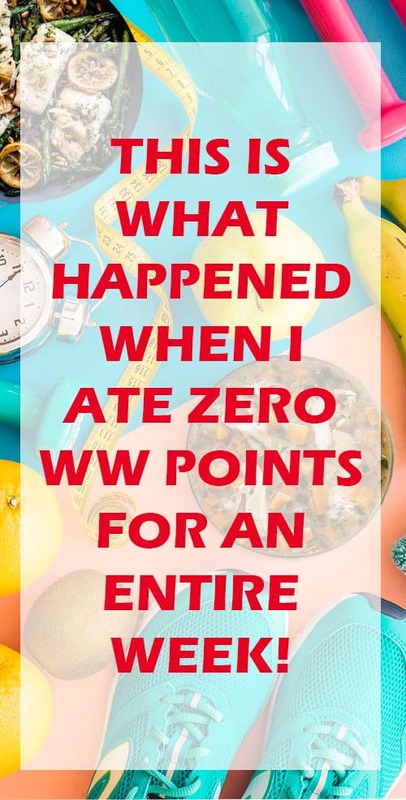 After work, I stopped at the store and stocked up on every food I would eat that was on the Weight Watchers Freestyle zero point menu. The instructions are pretty simple. 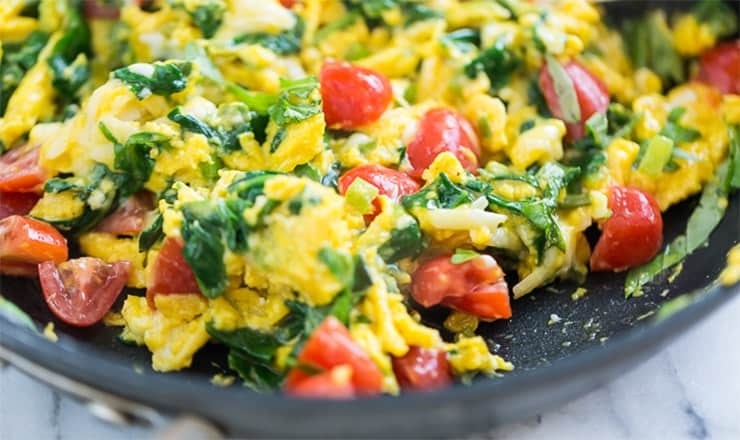 Beat the eggs, spray a pan with zero calorie cooking oil, add the veggies and let them cook for one or two minutes, add the eggs and cook until done. Oh, and don’t forget to sprinkle that cheese over the top. Alternately, you could use salsa, but I’m a big cheese lover! 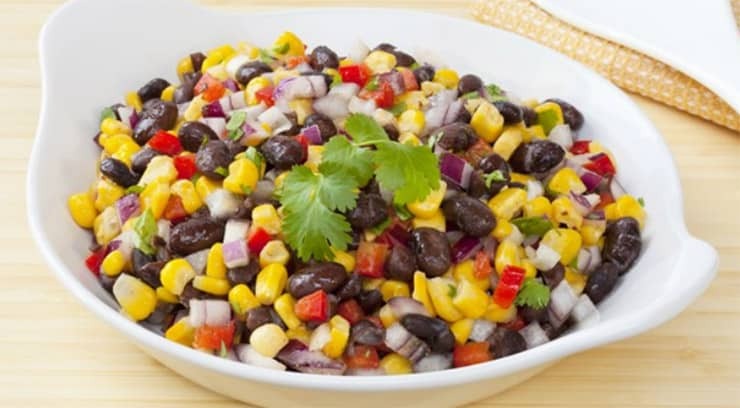 As I went cruising through my pantry, I saw that I had several cans of beans and that got me thinking about a bean salad. This would be great because I didn’t have to cook! I made this Sunday night and put the bean salad in one container and the lettuce in another container, then mixed them at work. By the way, if I haven’t mentioned it already, I love, love, love these containers! This recipe is supposed to serve 4, but I simply cut it in half. I took half to lunch and saved the other half for the next day. I went shopping after work, which will help me later in the week and give me a bigger selection of foods to choose from. I didn’t want to do a lot of cooking, though, so I simply made some baked fish and then got things ready for the crock pot so I wouldn’t have to cook again tomorrow. 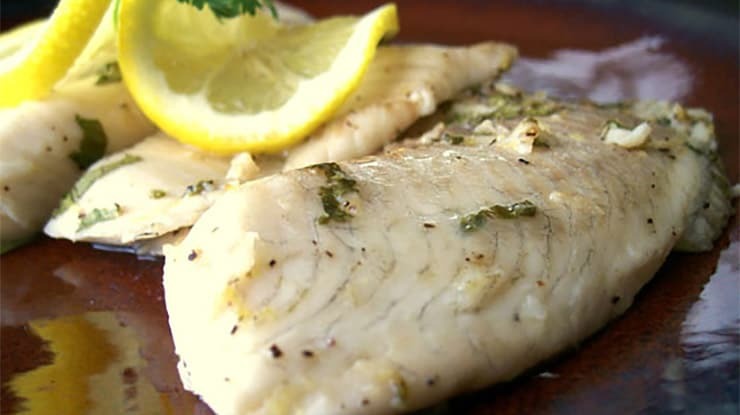 For dinner, I choose an easy lemon pepper dish using Tilapia, but you could use salmon or halibut or whatever filet you happen to have. Like the salad above, this recipe is supposed to serve 4, but hubby and I just split it, along with a side salad. Rather than fry it, I use the oven and let this bake, which, for me anyway, is better as I can let it cook in the oven and walk away for about 15 or 20 minutes. I made a salad while this was cooking and set the table, and it was done! Line a casserole dish with aluminum foil. Leave enough foil to close over the top of the fish! I like simple dishes like the one above, but the truth here is that, while relaxing and watching TV, I want a snack! I can’t help it; I get that urge for a little something sweet, don’t you? Look at what I whipped up and guess what? It’s zero points! I call this butterscotch and apple “pie”. OK, so it has no crust, but dang if it doesn’t taste great! When I came home from work, I left out the Cool Whip Free on the counter. I put this together after dinner and within an hour or so, it’s ready! In a large bowl, combine everything above. Cover and refrigerate for 1 hour, minimum. 2 hours is better! 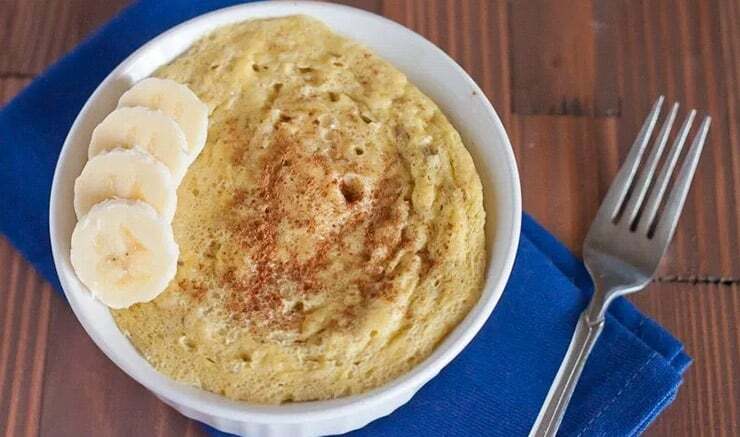 You can add a sprinkle of cinnamon on top if you like! Hubby and I split this dessert and I was a happy camper that night! I didn’t even feel like I was dieting! Before I hit the hay, however, I put together a crock pot meal so dinner would be ready and waiting when I got home. 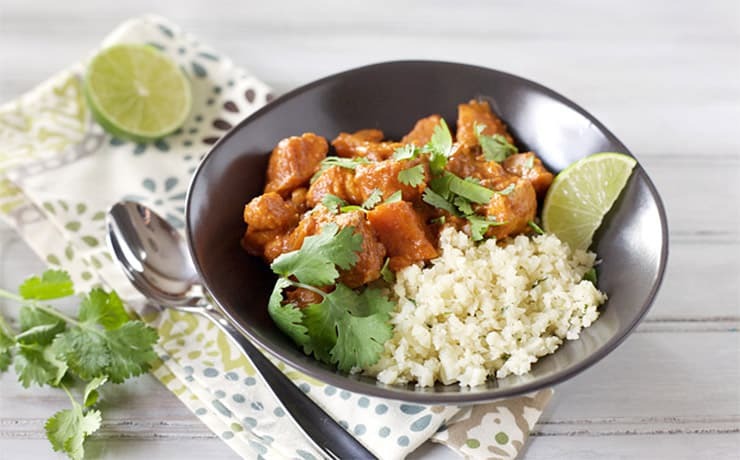 See my dinner meal plan in Tuesday’s menu. Since I already had half of my salad left over for today’s lunch, I got busy in the morning setting things up for later. I started by making some bean & egg “muffins” for breakfast today and tomorrow. While those were baking, I put together my crock pot so I would have dinner ready for tonight and use the leftovers for dinner on Wednesday. 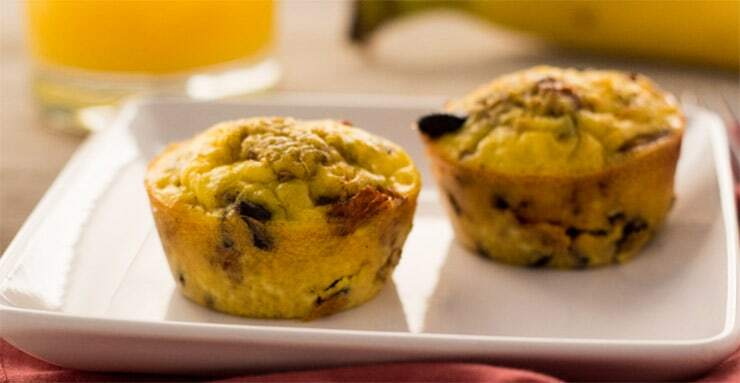 These little muffins are so good with coffee! The recipe is super easy, too! This makes about 6 muffins. I ate 2 with breakfast and took another 1 to eat later on as a snack at work. The rest I left for tomorrow. Most people would serve this with rice, but I used cauliflower rice and made a side salad as well. So for breakfast, I ate 2 more muffins and took the last one to work. Now all I had to do was fix lunch. I decided to make another salad. I packed a container full of mixed salad greens and a handful of cilantro. 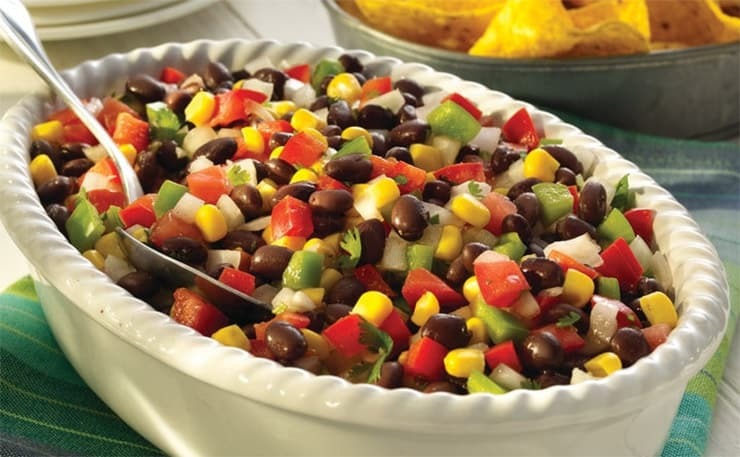 In another container, I put some drained, canned black beans, a sliced cucumber, a sliced tomato, along with a little baggie of spices, like salt, a dash of pepper, and a little bit of garlic powder. I also took a small bottle of balsamic vinegar for a dressing. So for Wednesday it was muffins, a bean salad, and then left over chicken from the night before. I felt great after working out, but my sweet tooth was feeling neglected, so I made myself a little snack of Cool Whip Free and a handful of frozen berries. I just let these sit on the counter for 15 minutes and they were ready to eat. Well, I had eaten everything I had made Tuesday, so it was time to start this process again. This time, I decided to just have some hard boiled eggs for breakfast, as well as in a salad for lunch. I set 6 eggs in a pan and was letting them boil while I started a lentil soup in my crock pot. Did I mention how much I loved my crock pot? This soup would be ready for dinner tonight and tomorrow night, which would save me a lot of time! 1 Can of diced tomatoes (14.5 ounces) keep the juice! 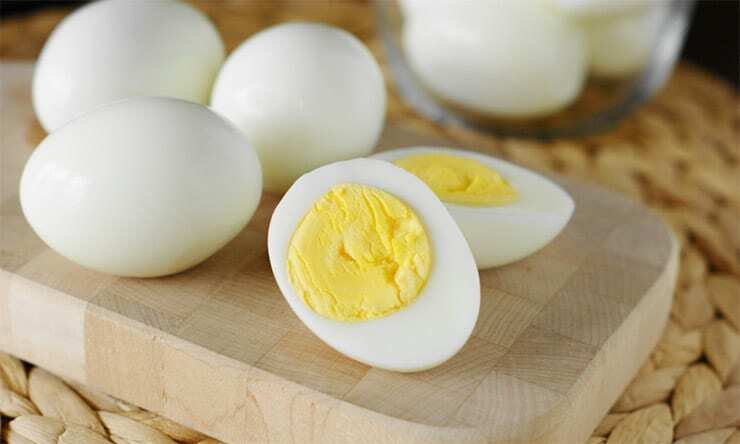 So breakfast today was 3 hard boiled eggs with non-fat Greek yogurt. I add a little salsa, lime juice, and onion powder to my Greek yogurt and dip the eggs. Delish! I made another salad with mixed greens, the remaining 3 eggs, and the remainder of the yogurt. I peeled two eggs and put them in the salad, using the yogurt for a dressing. I ate the last egg just before I went to the gym. Dinner was waiting for me and it was so good! I had two big bowls and it really felt good! I could not believe that I had made it 5 days without using a single point! My husband said I should probably stop after today, but…well, I can be stubborn. I said a week and I was going to do a full week! 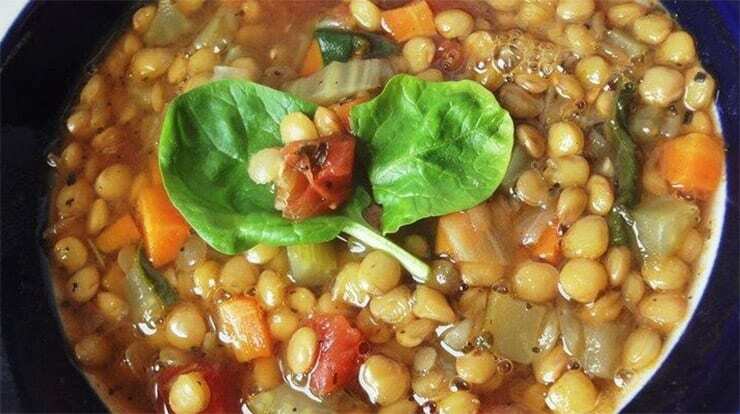 I was having lentil soup for dinner again tonight, so all I needed for today was breakfast and lunch. I had the veggie egg scramble that I ate Monday. I wanted to try something a little different for lunch, so I decided to try some chicken burgers. This one is so easy, you don’t need a recipe. 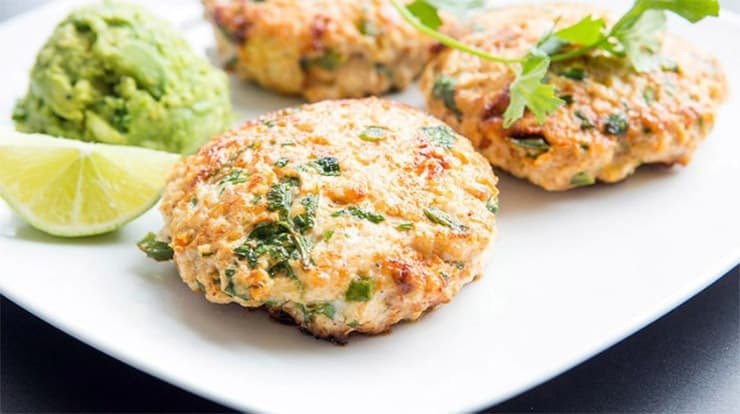 Pretend you are making hamburgers, but use lean ground chicken instead. I add some spices to the meat, make some patties, and “fry” them using a nonstick pan and some zero calorie olive oil cooking spray. Cook them until they are done all the way through. I put these in a container (did I mention that I LOVE these containers?) along with some sliced cabbage, some salsa, a few slices of tomato and a couple of slices of red onion. It’s like a chicken burger, only without the bun! I made plenty of these, so I saved some for lunch on Saturday. So to recap Friday, I had a veggie scramble for breakfast, chicken burgers for lunch, and the leftover lentil soup. I was able to hit up the gym again and I have to admit, by Friday night, I was feeling pretty darn good about myself again! At least I had some time to really cook this weekend, which I’m sure made hubby happy. I started off by making banana pancakes for breakfast. This was a great day to make them because, in addition to time, I had some bananas that were looking pretty grim. 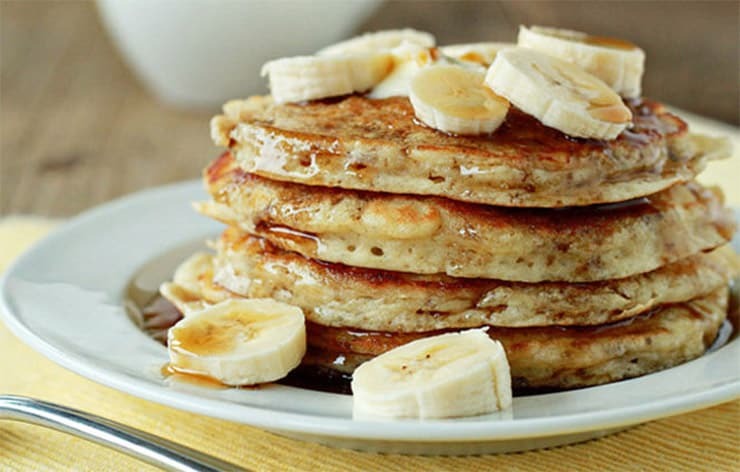 These are super easy and when you top them with more sliced bananas, you really do feel like you are cheating. Oh, if you like buttery pancakes, pour some hot butter buds over them! This makes about 2 medium sized pancakes. Since I had saved some of the chicken burgers I made yesterday for today’s lunch, all I needed now was an idea about dinner. I wanted to run some errands this weekend, so I decided to use my crock pot again. I still had some chicken breasts, so I made a kind of chicken cacciatore. 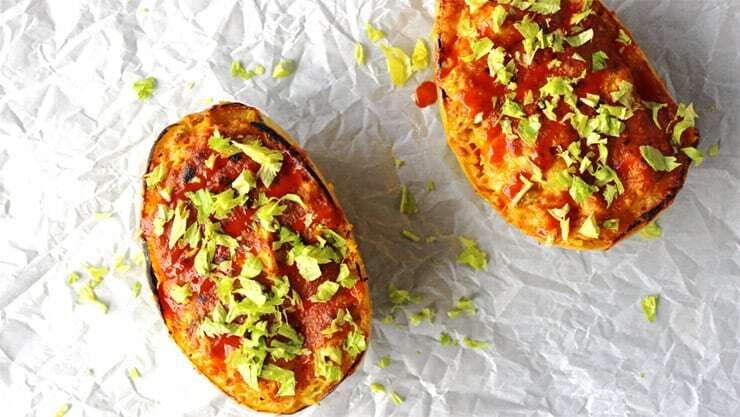 If you haven’t roasted the spaghetti squash, do that first. Cut the squash in half and remove the seeds. Drizzle a tablespoon of olive oil over each half with a dash of salt and pepper. Place cut side down on a baking sheet and cook for one hour at 425 degrees. “Shred” the inside with a fork and transfer to a bowl or use the squash as your bowl. You can put the chicken cacciatore inside later! In your slow cooker, put the chicken breasts at the bottom of the crock pot. Add all other ingredients on top. Pour directly into the spaghetti squash bowls or pour over a bowl of shredded spaghetti squash. I used 2 spaghetti squash, which made 4 “bowls”. This way, hubby and I could enjoy this Sunday and I wouldn’t have to cook again! This recipe is super filling! I felt completely full until bedtime, if you can believe that. One last day of zero point eating! Not that it was all that bad, but I was looking forward to eating more like normal! I decided to try something different for breakfast. This is something like a soufflé, but without the cheese. I topped mine with mango, hubby added more bananas. 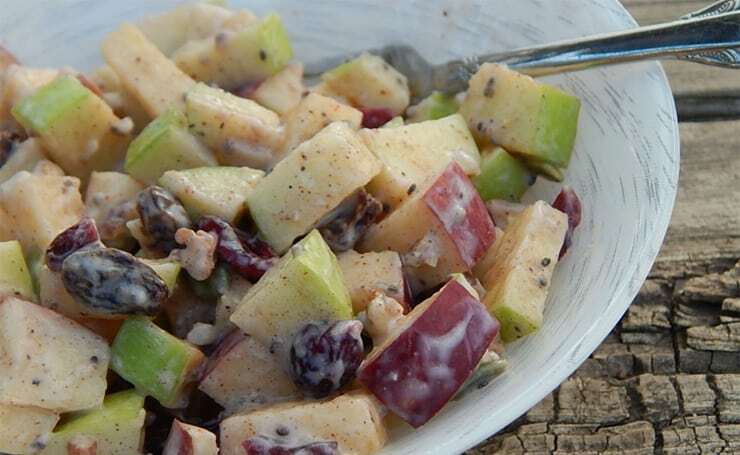 This recipe serves one, so double it so you and your SO can share. So today’s meals were egg and banana soufflé for breakfast, left over chicken burgers for lunch, but I didn’t want to have chicken again for dinner. I was having a real craving for Chinese food, but knew that I would have to wait until next week to really enjoy my favorites. Instead, I tried making some vegetable fried “rice” for lunch. I used some of that frozen cauliflower rice, but you can make your own from scratch. 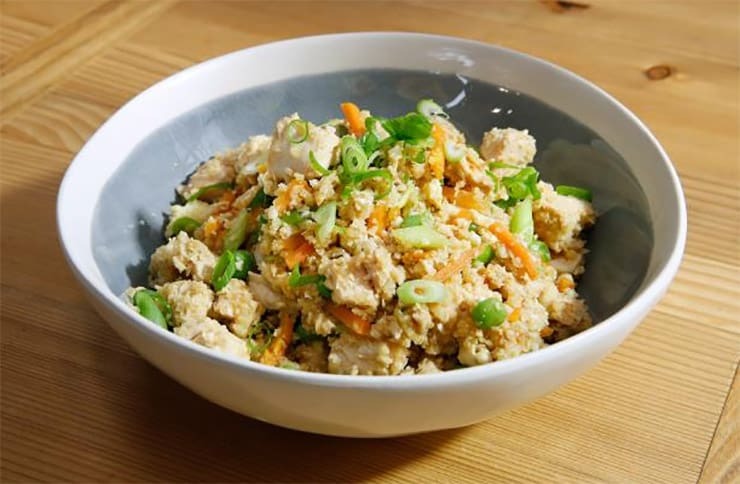 I really liked this cauliflower rice version. There was some left over, so I reheated it in the microwave and ate a little later in the evening. You could even add some cooked chicken to this. I was both nervous and excited when I got up Monday. I couldn’t wait to see how much weight I lost, but I was nervous at the same time. What if I didn’t lose anything? What if I somehow gained weight? I lost 6 pounds! I was very pleased and a little bit shocked. I don’t think this is a good way to eat most of your life. I left out entire food groups (milk, whole grains) which isn’t a good thing, but for a short term, jump start, or emergency situation, I think it’s a good way to go. Thanks Weight Watchers!